I’m combining week 12 and 13 recap as I don’t have much to recap on week 12. It was a week after Portland Half Marathon and I was attending 2011 SQL PASS Summit. I was too busy to squeeze in the time to do my run. Um. Yeah. Who am I kidding. Let me rephrase that. I did not make the continuous training as a priority. There I said it. I did, however, managed to run 5 miles on Sunday with Jimmy May (t) who is currently training for Las Vegas Rock & Roll Half-Marathon at Bridle Trail. We had an awesome run together! It was cold and misty, lot of hills but I felt great! I did my strength training at home. Not as much as I should be or as intense as I would’ve done it if I were at the gym, but I did what I could in while doing the house chores and get my girls ready to go to bed. I did hip strengthening exercise, squat, lunges and some core exercise. I did 3 miles loop at Centennial Fields Park. It was another gorgeous fall day and I love that little park. It was a loop around the community park that have a path towards outside it. My girls played at the playground nearby while I ran. I felt a bit sluggish during this run as I came down with a cold the night before. Big day for me as my schedule called for 15 miles. Yes, that’s FIFTEEN miles. I was a bit overwhelmed the night before since I had a hard time wrapping my brain around the number fifteen. It seems so… well.. a LOT of miles! I know, I know – it’s only 2 more miles than the half-marathon and I did that one already. I can do the math too, but that doesn’t change the fact that I was a bit overwhelmed with the number. I was up early but really had a hard time to move. I really, really didn’t want to go but I had promise Jimmy that I would meet him at the trail head so we can run together. So I dragged my bum out of the bed, laced up my shoes and head out. 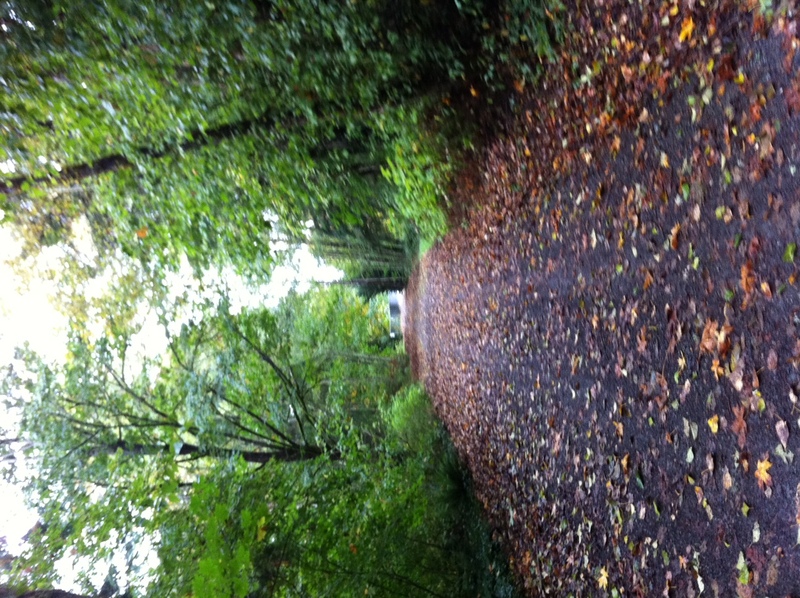 We went to Snoqualmie Valley Trail — my favorite trail which was so pretty with different shades of color on the trees. It was cold and misty with very little of sunshine. I did my usual 3-1 Galloway technique (3 minutes running, 1 minutes walking) and it was amazingly awesome. I felt great the entire run and not even once I had to talk myself to keep running. Jimmy ran for 11 miles and he stopped, but I continued running. I hit 13.1 miles and realized that my time was 6 minutes faster than my half-marathon time! I was sooo excited! I broke my personal record!! 3 hours and 2 minutes later – I finished my 15 miles with a huge grin in my face. That was the farthest I ever run and I felt awesome! New beginning on the fundraising front. I have a new goal. I plan to send out my fundraising letter this coming week and other than announcing my crazy adventures in my blog, I haven’t done much. 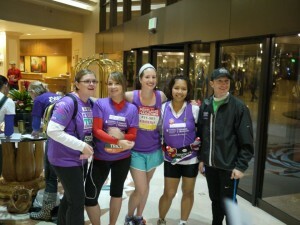 However, if you are reading my blog all the way to this point, please visit my fundraising page at : http://tinyurl.com/RobelMarathon. You can read on why I am running and while you are at it, pull your credit card from your wallet and skip a latte this week and join me in this adventures instead <smile>. Any amount is greatly appreciated! 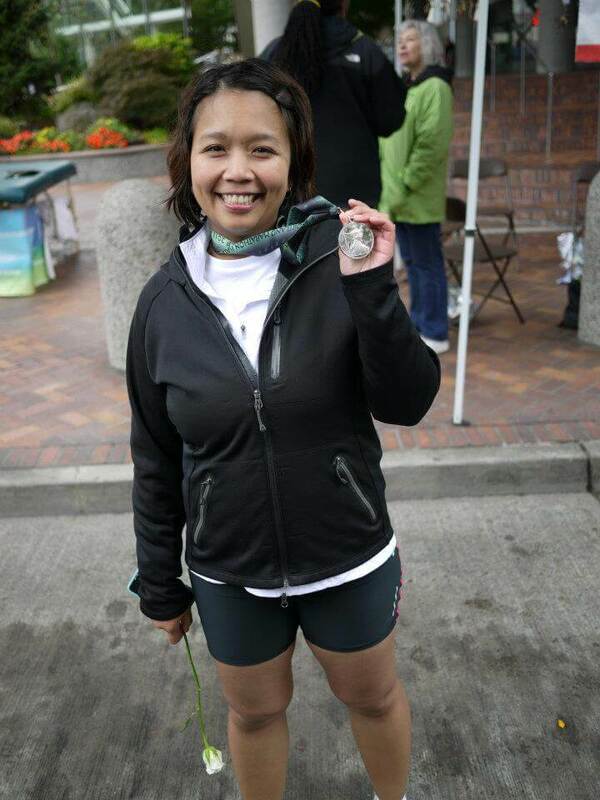 I had so much fun with the Portland Half-Marathon and am so proud of my accomplishment that I want to take it to the next level. I want to keep pushing my limit and see where it will take me. Life is short and I want to be able to look back and say, yep, did that, done that, oh did that one too, so did that one. Is that too much? Maybe, but I’m going all out. I had a second chance to look at life differently and I want to encourage others to do the same. No, I’m not going to sweet talk others to climb the mountain, or run a marathon. However – I am challenging everybody to go after things that you always want to do. Whatever that is. I know we all have that one thing or two that we always want to do, but there’s always something prevent us from doing that. My challenge to you — make the time to do that one thing while you still have the time, health and ability to do so because, well, you just never know. Life is too short for you to not go after your dreams. Allright. Enough with being all wise and mature. I want to go back to being crazy. So without further ado, here’s my next crazy adventure — I’m going to run a full Marathon. You would think that I would stop there, right? No, not me. I have to go a bit more. To be exact — I’m going to do the Disney Coast To Coast Challenge. 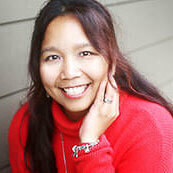 I’m going to join Team in Training again and help them raise money to fight blood cancer. I had absolutely an awesome time with the team, and the support from the coaches, staff and alumni during Portland Half-Marathon was incredible. On top of that – I feel like I’m involved in something important because I will be part of an incredible team who works very hard to raise the money for Leukemia & Lymphoma Society for their patient support and blood cancer research. I am a living example of what this organization do. Because of their cancer research support, ten years ago, the medicine that I currently take is available for the public. This is the medicine that allows me to have a normal life. As normal as you can be as a survivor. I’m one of the lucky ones. There are others that are not as lucky as I am. The second half of this challenge is the fundraising. This is where all of YOU can get involved since I will need a lot of help to reach my goal. Details about the fundraising can be found here. I know that some of you have been so generously supporting me in my previous fundraising efforts and I thank you very much from the bottom of my heart, however, I am going to shamelessly ask again for your help. Why? Because not only you are helping ME, you are giving me and the rest of the blood cancer survivors hope. You are helping give the families of the survivors tremendous support because that’s what the money you are giving is for. Leukemia & Lymphoma Society offered incredible support to a particular patient AND their family. I know it because I was at the receiving end of that effort. So there. That’s my next crazy adventure. Hop on and join me. You won’t regret it. You will save lifes. You will save my life. Wow, where do I start. Well, let try this — I RAN HALF-MARATHON!!! Yes, I am squealing as I said that with a full blown excitement since for me personally, this is a huuuugee accomplishment. Never in a million years, I imagined myself to do a long distance run, let alone ran 13.1 miles. Who does that? I mean – WHY anybody in the world do that? I used to questioned that. I’m a mountaineer. A hiker. I am certainly NOT a runner. Six months ago, my friend Karen Lopez (t) asked me if I want to join SQL Run, and I was probably intoxicated when I told her – Sure, why not! Before I knew it, I was on the list of people who were going to run (see her post here). At that time, I was busy preparing myself for the climb (remember my Mt. Rainier climb preparation – I was quite busy then) and didn’t think much about it. I told myself – I’m pretty fit, I can do this, and I can start my training after my climb. Fast forward a few months, I climbed the mountain and it was time to get serious with this running business. I joined Team In Training and I have to do (another) fundraising, shortly after my fundraising for the climb as well as training for the half. That was eleven weeks ago, and boy, I was so wrong with ‘I’m pretty fit, I can do this easily’ part. I was injured. Multiple times because I wasn’t building up my endurance slowly. For those that know me, patience really not my strongest suit. I felt like I can run more, and that’s when it backfired. I stuck it out though. I made a public commitment that I was going to do this, and I wasn’t going to quit. I was too embarrassed to quit, even though there was many, many weeks that I didn’t want to run anymore. There. I said it out loud. Then along the ways, something changed. I was starting to like it. Then a few weeks after, I was starting to love it, and before long, I was actually enjoying my running time. 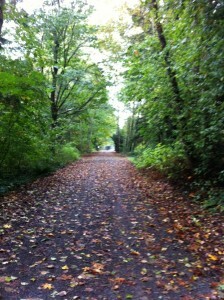 The sound of my breathing, the shoes hitting the ground, the ever changing scenery as I ran. The peace in my mind as I created a void for just myself during my run. The opportunity to just reflect and just be. That’s my escape. For those who know my personal battle with cancer, you know that I also have challenges after challenges during this training and there was time that I actually thought I had to literally drag myself for the entire course of the half-marathon due to never-ending fatigued that I experienced as a side effect of my newly dosage medicine. It was quite an experience, and I’m not even talking about the race yet. As I mentioned above, I joined Team In Training as a preparation for this race. Team In Training is part of Leukemia & Lymphoma Society and they raised money for blood cancer research and patient support. Obviously, this organization hold a very dear place in my heart as I am their living example of what their organization can do, and what the result of the research do to a patient. I have to give a shout out to my SQL Community. This community is so generous and awesome! I just get done with the fundraising for American Lung Association for my climb which I raised over $10,000 and I turned around and start another one and I raised $2,350.00!! Waaaay more than what the minimum required or what my personal goal was! I have very generous friends who believe in my cause and supported me all the way. I feel so blessed! The night before the race, we were invited to an inspiration dinner hosted by Team In Training. I have invited Brent Ozar (t), Rob Farley (t) and Ryan Malcom (t) to join me and my husband, John for the dinner. It was EPIC! Right from the start, we are greeted by Team In Training alumni, coach and volunteer and I am not talking by just ‘Hi, how are you, nice to see you here‘ greeting. They are all dressed up in purple, with all the bells, sign and full blown cheering us! It was pretty awesome!! There must be over 300 peoples on the ballroom! Those were runners and their families, coaches, alumni and volunteer of Team In Training. The event started with announcing the numbers and statistics. As a group, we raised over half-million dollars for this event! That is very impressive!! The slide on the projector was displaying the pictures of the survivors, honorary members and the loved one that we lost. It was.. bitter sweet for me. Then my name was called to the podium. It’s my turn to say a word or two. I stepped in to the podium and thank everybody for their effort. I’m one of the lucky one and the reason that I can stand before everybody at that very room is because 15 years ago, Leukemia & Lymphoma Society decided to fund research of my current medicine, which was then approved and made available to public 10 years ago. This medicine allow me to have a normal life. As normal as you can be, when you are a survivor. Because of it, I was able to climb the mountain and was about to run my first half-marathon. I want everybody there to know that their effort and hard work actually do save life and give hope. To me. And to the rest of the survivor and their family. There were tears everywhere, and I hope that was tears of joy. I woke up at 3:30am and couldn’t go back to sleep. I tossed and turned and finally decided to get ready around 5am. I have to meet the rest of my team at their hotel by 5:45am. I was a bit nervous and antsy but I knew that I’m ready for this moment. 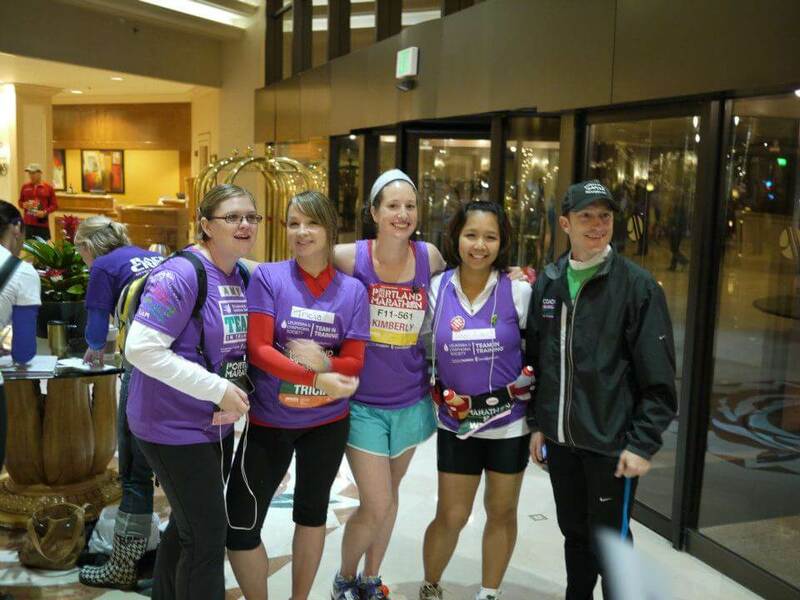 We had a team meeting and chatted with our running coach and started to walk to our corral. 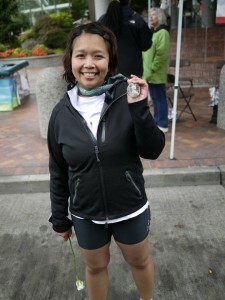 I was placed at corral W.
Our corral started to move around 7:20am and at exactly 7:27am – I crossed the start line. There were so many people around me that I had a hard time to even walk! I started my application to track my time, turn my audiobook on and started my run. I did 3-1 Galloway method, which was run for 3 minutes and walk for 1 minutes. It was hard to get into a rhythm because there were so many people but after the first mile, I finally get into my zone. 5 miles went by so fast and I didn’t even realized them. My coach out of nowhere run alongside of me an d started to chat and made sure I was okay. It was a pleasant surprise!! He ran for a couple miles with me and went off to the side of the road to check on the other TNT runner. I saw John and Ryan at various point during the cross with their big sign and smile! It was so awesome!! There so many spectator and especially, Team In Training supporter!!! I heard my name called and I looked up and I saw Erin Stellato (t). She was waaaay ahead of me, but we ran into each other on this one stretch of the course and it was so, so awesome to see her!! Shortly after, I saw Jes Borland (t) who literally screamed her lung out when she saw me! Shortly after, I hit the 8 miles marker and turn around on that stretch and I saw Karen, Brent and Rob Farley went the other way. I high-fived them, screamed their name with a huge grin in my face and went on with my running. Somehow, I missed Rob Drysdale (t) and Allen White (t) on that stretch. Around 10 miles mark, my coach run alongside me again and gave me some encouraging wisdom to power me for the rest of few miles. I was pumped and not even once I had to talk myself to keep running! My running app told me that I have a mile to go and I was pumped! I ran faster and harder and crowd was just chanting and cheering all of us! I can’t express with words how I felt other than awesome! I kept on running and I heard my name shout out LOUD. I couldn’t really see where the voice came from but I knew that was Jes and Erin. I kept on running and I saw them on the right side, behind the fence. They were bouncing up and down, screaming my name loud and I was in heaven! I looked at to the left side and I saw Ryan, Bill and Doug holding #SQLRUN sign. I ran even faster, my tears started to fell and I barely can see anything as I started crying. I lifted both of my hands up and crossed the finish line. I did it. I finished! Upright and smiling!!! I got my medal and space blanket and walked towards the food line, which by the way, AMAZING. Got my finisher shirt, roses, trees and pendant. I had one thing in my mind. I want to see my husband, John. I knew he was there by the finish line, even though I can’t see or hear him. I kept walking and found myself by the Team In Training tent. I signed off, high-fived a lot of peoples, ate more foods and saw Rob D., Ryan, Bill, Mike and Doug. They were standing by Ray of Hope tent. I joined them and chit chat for a bit before I caught a glimpse of John in the corner of my eyes. I ran towards him, literally leaped into his arm and I lost it. I cried my heart out. This was a huge accomplishment for me as I had so many, many challenges leading up to this point. Not even a year ago, I was undergo three weeks radiation and since then, I climbed the mountain and now, ran a half-marathon!! After a hot shower, stretched and a lot of water, I went to have lunch with the rest of my friends I mentioned above. It was the most delicious brunch I ever had! We chatted, we took pictures, we drank, we ate and we had so much fun! I looked around the table and found myself tear up a bit. I had amazing support, amazing friends and amazing group of runner. I’m very proud to call these people my friends, my new extended-family. I love them. Because of them, I can proudly say now that I am a runner. Thank you. Thank you for your support, your encouragement, your friendship and most importantly, thank you for being in my life. Lastly, I want to thank my husband, John, who put up with my whiny days, drove me at the wee hours and rode his bike alongside with me while I did my long run without even a single complaint. I have the next crazy thing line up, but I think I’m going to save it for a different post. Stay tuned. You will know soon. Okay, I’ve been slacking off on the update in the past two weeks. I have no excuse other than I didn’t make it as a priority. Life, training and work got in a way of my writing lately and it’s been crazy weeks. So I’m not going to recap my week and going to keep this short. 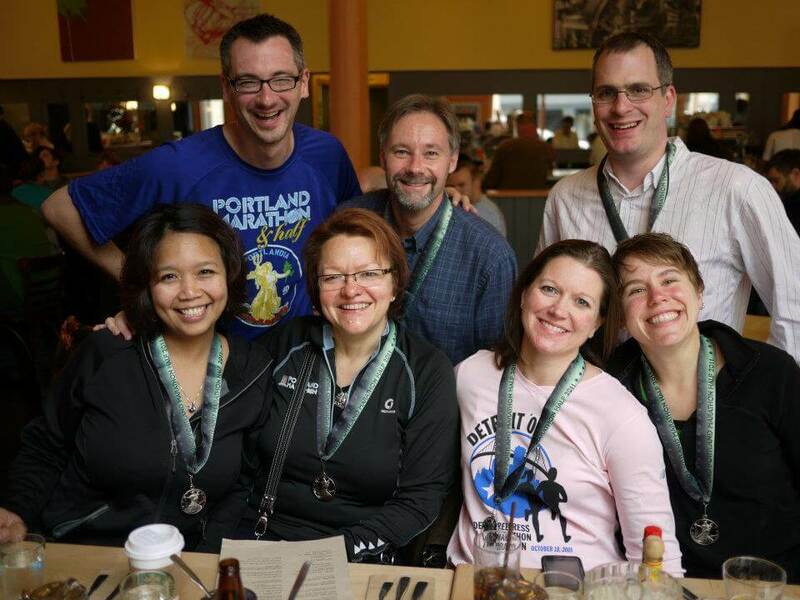 Tomorrow, I’ll be joining my fellow runner, twenty thousands of them to run Portland Marathon course. I’m ready. Not that I ‘think’ I am ready, but I am really ready. I’ve been training for a while and I’m going to run this race with a bunch of group friends of mine. That’s what make this race so awesome. Not only that, I am part of Team in Training, an awesome part of Leukemia & Lymphoma Society and tomorrow, October 9 2011, mark a week shy of three weeks of my cancer diagnosis. So this is half-marathon is personal for me. Very personal. I also want to say thank you to all the people that support me, donate to my cause generously. You are the best. Bring it on. I’m ready.